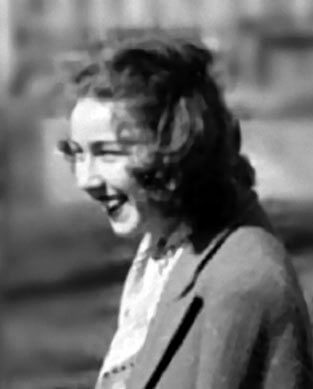 Mary Flannery O'Connor (1925 - 1964) was a great American author of unforgettable short stories. She pioneered the Southern Gothic literature style, gravitating towards "souls on the fringes of moral society." We find ourselves rereading her stories more often than most others, particularly A Good Man is Hard to Find (1953). Here are some of her words, as well as those from some of her admirers, which inform the reader more directly than any biography we could write. "I am surrounded by books. They are in my home and in my mind. I have left them scattered wherever I have lived. I have given them as gifts to the willing and also left them behind with friends by accident and on purpose when they were not willing." "Only if we are secure in our beliefs can we see the comical side of the universe." "Most of my books have been momentary romances, temporary, fleeting loves or fun flirtations from which I walk away easily. But amongst the few books that are always with me, Flannery O’Connor ’s The Complete Stories, is the one I seem to cherish the most." "I am not a stupid man, but I continually reach for that book to read a story; then I re-read, and then read it yet again until I have -- over the course of several months -- re-read the same short story a half-a-dozen or more times as if I were a regular simpleton. I have carried on love affairs with story after story; The Enduring Chill, The Comforts of Home, The Lame Shall Enter First and my long-standing love The Partridge Festival . . . "
"I trot from the worship of one story to the next, never daring to tell the new affection about the one that preceded it. I am the “town pump” of The Complete Stories and I have been had every which way a reader can be had." "In my defense, I admire and adore the stories from works like J.D. Salinger’s Nine Stories and the sublime Winesburg, Ohio. There is a withering, haunting, and cruel beauty in a vignette like Hands. But you only need to read it a single time -- maybe twice -- to wring the satisfaction out of it sufficiently enough to carry it with you for your entire life. It’s not like that with the best O’Connor stories. O’Connor doesn’t give it up like that." "I was in love with her stories before I realized what it was that I loved about them." "She has a grip on me because she writes about one of my great fascinations in real life; smart people doing really stupid things. The stupidity of her smart characters like Asbury, Sheppard, and Calhoun seem all too real to me." Since Flannery O’Connor ’s work is not in the public domain, we recommend you purchase her collection, Everything that Rises Must Converge , published after O'Connor's death in 1964, or better yet, The Complete Stories so you can enjoy all of her works in one volume. In the meantime, if you are looking for a great short story to read, try our selection of 100 Great Short Stories. You might also enjoy reading the biography of another icon of Southern literature short stories, Katherine Anne Porter, whose ghost-written novel we feature.